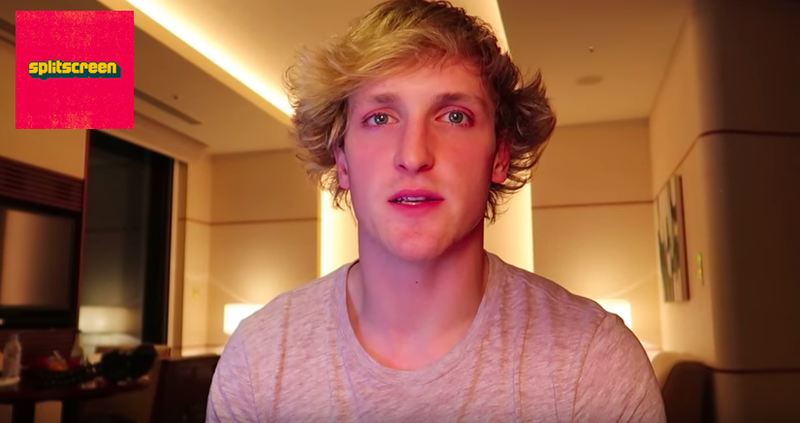 Recent controversy involving Logan Paul (pictured) left us wondering how parents watch what their kids are watching. Today on Kotaku Splitscreen we’re answering YOUR questions about character creation, backlogs, Nintendo’s E3 2018, mobile whales, and much more. We’ve also got stories from parents about how they monitor their kids’ YouTube addictions. First, Kirk and I talk about Nintendo Labo, Xbox Game Pass, and my recent BioWare story (11:03). Then we read some YouTube stories and answer a whole bunch of YOUR questions (30:32) on all sorts of things. You can’t, and seriously don’t want to, monitor everything your kid is watching. God love ‘em, but 11-year olds have really bad taste. So you’re always wondering what they’re really watching (and whether it ultimately matters). I’m a high school teacher, I taught middle school from 2011-2015 and currently have a two year old. You asked about controlling YouTube with kids. YouTube does have a restricted mode that can be turned on. However, the vast majority of parents have no clue what their kids are watching on YouTube or games that are being played. The majority of kids get a smart phone between 5-7 grade with no restrictions on the devices. On a weekly basis I have to have a conversation with middle or high school student about what they’re watching, sharing on social media, or showing to their friends and how vastly inappropriate it is. Occasionally to the point where it’s a school offense for what they’re doing. When it’s to that level the parents never know it was going on. I have a two year old and worry about this in the future. I’ve actually thought about this, I have already made him a gmail account. I will have that password, he will not. When he reaches an appropriate age I’ll sign him into kids accounts with that and that way I can always check what he’s watching/doing online. ...my kids typically watch Youtube on a computer or TV in a common area. They’re not holed away in the corner of their room with an iPad. Younger kids always seem to want to be where you are, not off by themselves. So you’ll always be somewhat aware of what they’re seeing or hearing. Along those lines, if a Youtuber says a swear word, you’re gonna notice. Another thing that’ll probably happen is your kid is gonna freak out about it. Or they’ll laugh, or look at you, or even tell you. “I just heard the ‘S’ word!” When that happens, the edict comes down “No more [insert youtuber name here]”. Dad lays down the law, you will be in trouble if I catch you watching that person again. I always see articles or hear about these young Youtubers who want to make it big, and I always want to say “Rule number one, don’t swear.” The 6-15 demographic has the largest amount of disposable time, and that should be who Youtubers target for viewers. And nothing is going to cause them to lose eyeballs faster than cursing. Think my kids get to watch PewdiePie or Markiplier anymore? They’re off limits. And the nice thing is, that my kids respect that. They don’t want to get wholesale banned from Youtube, so they’ll steer clear of restricted Youtubers. As a technophile and gamer, I’m also somewhat tuned in to who’s out there doing what. I know who the Paul’s are, and I’m not about to let my kids watch them. Hey, I wanted to let you know I’m one of those parents you’re talking about. My 11 year old daughter watches a lot of Minecraft videos on youtube. It’ is almost 100% of her viewing habits. We watch a lot of it with her so we get a pretty good idea of what they are saying and how they behave. I was completely caught off guard however, when her and a friend were watching a youtube video about the evils of Floride that used Infowars as one if it’s sources. I watched a bit of it with her, and realized that it was a completely uncritical take on the conspiracy theory (one quote was, “so all these studies show that floride is dangerous, so why is the government poisoning us?) and nearly had a heart attack when I realized she could be learning this kinda stuff without even realizing it. I had a talk with her about how people will lie on the internet to get views and clicks and I showed her some old James Randy clips to try to get her interested in skepticism. I was undercut by the fact that my wife believes I’m making too much of all of it. I don’t know if my daughter has watched anything else about it, but she is still drinking water from the faucet so maybe I am. I have three daughters, ages six, four, and eight months. Most of my personal game-playing time is done when the kids are all in bed, so for the last few years my kids haven’t had much experience with video games other than knowing who some of the characters are because of various collectibles scattered around the house (I have every Amiibo and they call them “daddy’s toys”). Since I got heavily into games when I was five with the NES, I thought my oldest daughter was around the age where I would start to teach her how to play some games. I got the kids an NES classic, and later the SNES classic, hoping to start them out on the kinds of games I grew up on. Those games proved to be mostly too difficult for them, so I wasn’t exactly sure what game they should try. Eventually I downloaded Minecraft on my switch and let them play that, and it led to a crazy world that I didn’t even know existed.